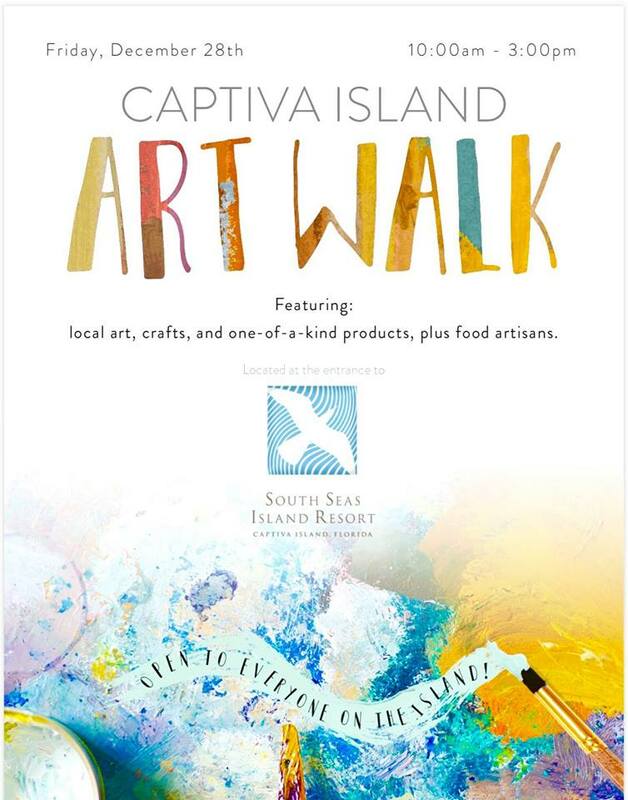 Join on Friday, December 28th for Captiva Island’s 1st ART WALK. Over 30 local artists, crafters and food artisans will be joining us for this one day event. Open 10AM – 3PM, located next to tennis courts at the entrance of South Seas Island Resort. Parking is limited so walk, bike, ride trolley or drive a golf cart. OPEN to public.